Up for a righteous adventure? Try a GUIDED SEA KAYAK TRIP along the rugged southern shoreline of Kaua‘i. Led by OUTFITTERS KAUAI guides, the tour takes you to deserted beaches where you’ll explore, snorkel, body surf or simply bask in the sun. Fascinating sea life abounds: sea turtles, dolphins and even humpback whales (these giants of the deep visit the Hawaiian Islands every year between December and April) may make an appearance. Outfitters Kauai uses tandem, self-bailing kayaks with rudders; trips are offered mid-September through mid-May. KAYAK KAUAI, another provider, also has sea and river kayaking tours around the Garden Island. From HANALEI BAY to the open sea, you’ll find the adventure you’re looking for. 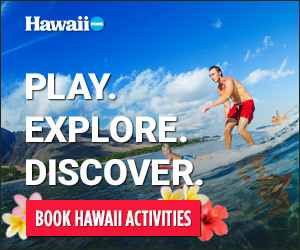 Visit kayakkauai.com. And if kayaking the Napali suits your fancy (instead of braving the lengthy hike! ), check out NAPALI KAYAK’S day tours at napalikayak.com.